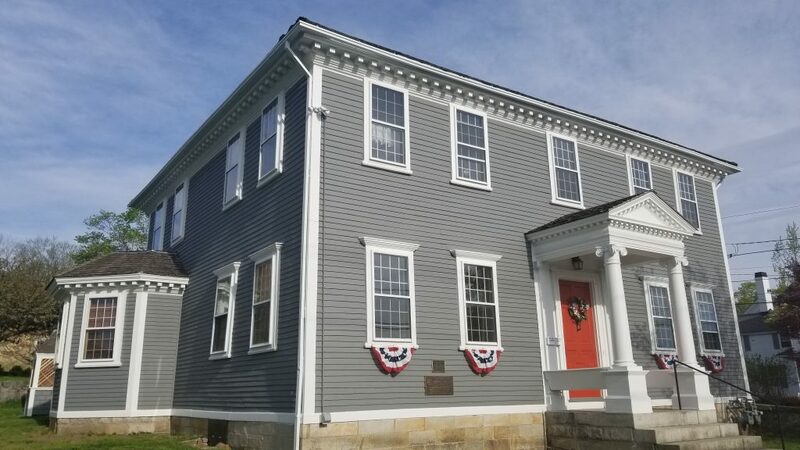 Varnum House Museum Open for Tours in 2018! The Varnum House Museum is open for tours during the summer season! Come visit us in June, July, and August on Saturdays and Sundays from 1:00 PM to 4:00 PM. Contact the the Varnum House Museum by calling 401-884-1776 or email house@varnumcontinentals.org. Here’s another great donation to the Varnum Memorial Armory Museum‘s collection: an 1852 edition of a “Pictorial Life of George Washington” and an 1885 “Barner’s Brief History of the United States”. Fantastic images in both books! Thank you Joanne and Mike Breslin!